Some of you may know that in 2009 a huge new wheel was proposed for Orlando. It would have been a bit smaller than the London one (at 400 feet). 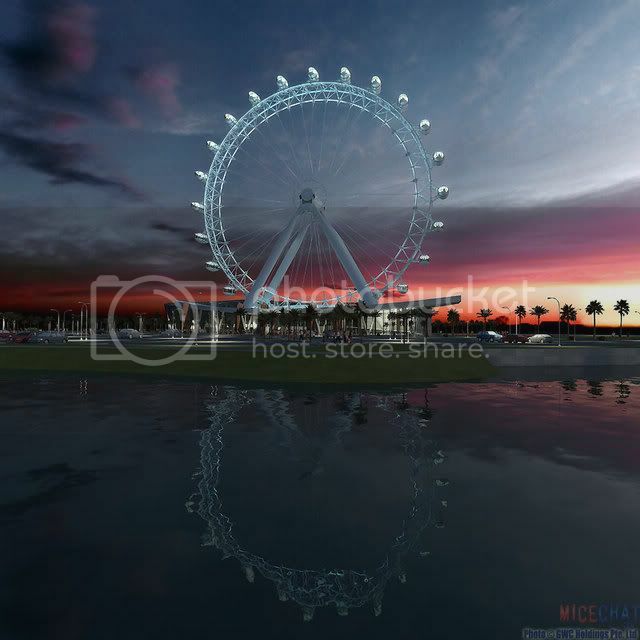 The Great Wheel Corporation, builders and designers of The London Eye and Singapore Flyer, have plans on the table to build the Great Orlando Wheel. Located on the south end of International Drive, the Great Orlando Wheel will stand almost 400 feet tall. Although it falls short of the London Eye, it will still become one of the biggest and the tallest attraction in Orlando, Central Florida, and beyond. The land for the Great Orlando Wheel has already been purchased and plans have been approved for the project. As of this point, the plans are at the building department and construction is simply waiting on building permits. The wheel will have a capacity of 960 people and all pods will have air conditioning for a comfortable ride. Rides will take place in 24 separate pods capable of handling 40 passengers. The pods are 38 feet by 16 ft. Each ride will take 30 minutes and will provide a spectacular view of up to 25 miles on a clear day. 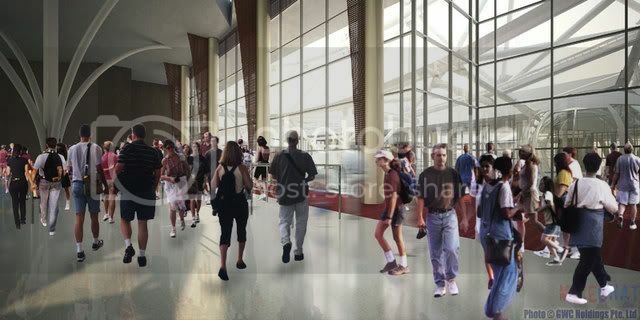 People waiting for their ride to begin will be able to take advantage of the on-site restaurants, gift shop and bar that are planned for the attraction. Unfortunately, the project was put on hold due to bad economy, but as soon as the things improve, the Great Orlando Wheel will become a reality, becoming Orlando's tallest attraction! Would this thing really be that amazing? Like it would be pretty sweet but it wouldn't be an iconic landmark like the golden gate bridge or anything.